The ‘N94’ prototype is getting closer to becoming a reality in the shape of what most of us believe is the iPhone 4S, the next generation iPhone handset, as MacRumors has obtained even more confirmation that Apple is definitely getting ready for its release pretty soon. The recently seeded iOS 5 Beta 7 includes a new file called RegulatoryInfo-N94AP@2x~iphone.png which reveals regulatory data for the iPhone device codename ‘N94’ as viewed through Settings > General > About > Regulatory on the device. 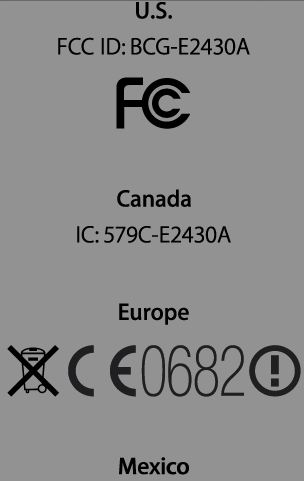 According to the new file, the unreleased N94 iPhone has been assigned a Federal Communications Commission (FCC) ID of BCG-E2430A. This compares to the BCG-E2380A identifier on the GSM iPhone 4 and the BCG-E2422A identifier on the CDMA iPhone 4. The device has yet to show up in the FCC’s equipment authorization database, although those entries generally do not appear until the day the products are announced. Even then, Apple typically requests that some of the more sensitive documents such as photos of device internals be considered confidential and thus kept from public view for a period of time. A white back panel and other component parts of the purported iPhone 4S device aka ‘N94’ have already made it to the web and with even more leaks like this one coming forward, I suppose it shouldn’t take long before an actual hands-on iPhone 4S or iPhone 5 video goes live on the internet! Don’t you think?